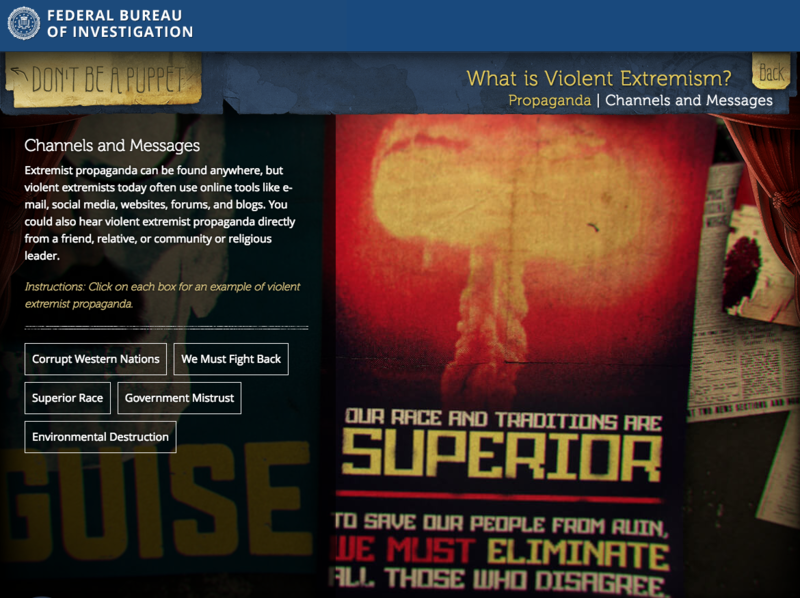 FBI Game: What is Violent Extremism? 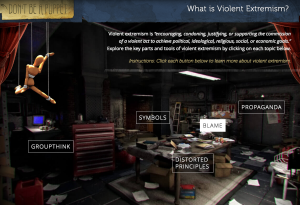 From Slashdot a story about an FBI game/interactive that is online and which aims at Countering Violent Extremism | What is Violent Extremism?. 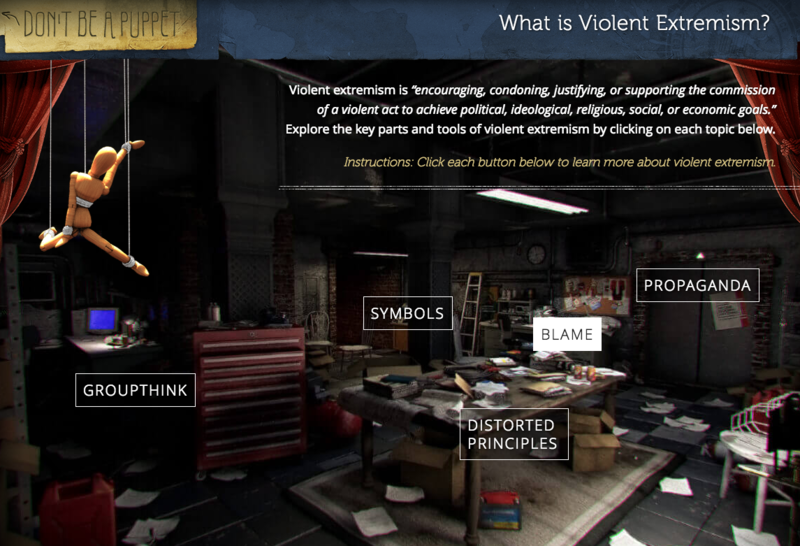 The subtitle is “Don’t Be A Puppet” and the game is part of a collection of interactive materials that try to teach about extremism in general and encourage some critical distance from the extremism. The game has you as a sheep avoiding pitfalls. The sheep game leads to an interactive basement space which I suppose represents an extremist’s messy lair of ideas and stuff. As you pick a topic like Propaganda you zoom in to representative visuals and information. The Slashdot story comes from the The Daily Dot about How FBI’s Sheep Video Game Exposes FOIA Problems. Apparently the FBI says it will take two years to honour the Daily Dot’s Freedom of Information Act request about the game. 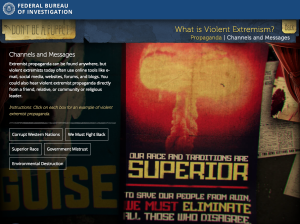 We won’t know what motivated the FBI to create this rather bizarre serious game. It’s going to take almost two full years to pull together the information on how a video game parable about a sheep ended up on the FBI’s website. The Daily Dot article goes on to talk about “failure by design” in the ways the FBI responds to FOIA requests. Their systems are old and there is no incentive to improve the technologies and processes for handling such requests. They are left to not work. This, of course, introduces an interesting new way to study serious games and that is by filing FOIA requests for documentation from the agencies that commission them. If the request is ever answered you might get useful documentation about a serious game and its creator’s agenda.